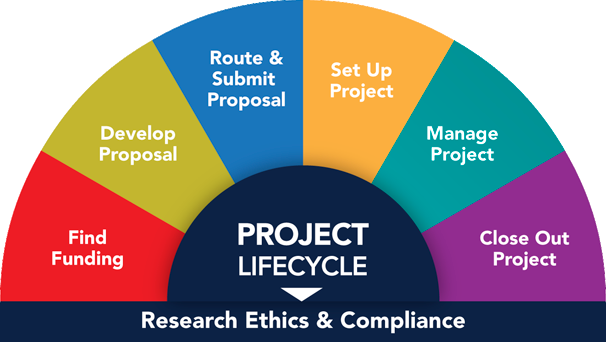 As a researcher at the University of Michigan, you are expected to disclose any financial or management interest in an outside company or other entity as it relates to your employment. Your disclosure ensures that you and U-M are compliant with the federal and state regulations designed to safeguard objectivity in research. The University’s annual disclosure review begins July 1 with each new fiscal year. The M-Inform Disclosure System is the university’s online outside interest disclosure system. As an employee, you use this system to complete and submit the disclosure form(s). This may include reporting that you do not have outside interests related to your employment or reporting an interest in more than one entity. Each disclosure is reviewed by your unit and, if applicable, by a U-M Conflict of Interest review committee (UMOR-COI or MED-COI) to ensure compliance with federal, state, and university policies. If a conflict of interest is identified upon review, the COI committee works with you to manage the conflict to mitigate impact on your research. This attestation is not equivalent to completing an outside interest disclosure in M-Inform. In eResearch applications you will see text reminding you to disclose any outside interests related to the research activity. The eResearch IRB application (HUM) is integrated with M-Inform in that the U-M PI or study team member sees their disclosure status and a link to M-Inform as part of the COI statement. Per U-M and HRPP policies, you are required to disclose in M-Inform if you have an outside interest related to the HUM and you do not have a current disclosure in M-Inform. If you have a current disclosure in M-Inform, you are expected to update that disclosure when an outside interest applies to a new HUM; or amend an active HUM (and your current disclosure) when a new related outside interest arises or a change occurs to an existing related outside interest. See the Discloser procedures for instructions. What do I disclose as an outside interest? Use the Outside Interest Disclosure Decision Tree to decide if your outside interest needs to be disclosed in M-Inform. Also see the M-Inform Disclosure Criteria list. Submit an Outside Interest Disclosure in M-Inform Instructions to add new, edit existing, and remove outside interests from your M-Inform disclosure, including restoring previously inactive outside interests. M-Inform Disclosure Criteria Lists the disclosure criteria with examples (as seen in M-Inform) for an outside interest, activity, or relationship. Use this visual diagram to walk through the considerations to determine whether to disclose an outside interest/activity in M-Inform. Last updated: 06/18/2018. Prepare/Update a Disclosure for Another in M-Inform M-Inform instructions for proxies (i.e., unit assistants) to data enter outside interest disclosures for another U-M discloser. Review an Outside Interest Disclosure in M-Inform M-Inform instructions to review and approve outside interest disclosures on behalf of the discloser's U-M unit. Maintaining Department Information in M-Inform Instructions to assign M-Inform roles (e.g., unit reviewers of outside interests for the unit or an individual) and send M-Inform reminder emails to disclose to individuals. [PDF] Use this resource to assist disclosers in your unit. DO NOT use to submit disclosure information. Check with your unit's administration about unit-specific policies, requirements for outside interest disclosure, and M-Inform role assignments (e.g., unit reviewer). If you have questions about COI policy, outside interest disclosure requirements and review processes (including reviewer assignments), and COI management processes, email COI.Support@umich.edu. List of research sponsors utilizing the Public Health Service (PHS) financial conflict of interest (FCOI) regulations for their disclosure requirements and COI policy. Applying for, or have, PHS funding? You must disclose outside interests per Public Health financial conflict of interest (FCOI) regulations. Not a U-M Employee, but Asked to Disclose to U-M? Have your own start-up company through U-M?